Global company Wiley publishes an enormous range of books and journals. They also publish “Spectral Libraries” – high quality databases used by scientists and researchers to help reduce errors and increase productivity within the lab. 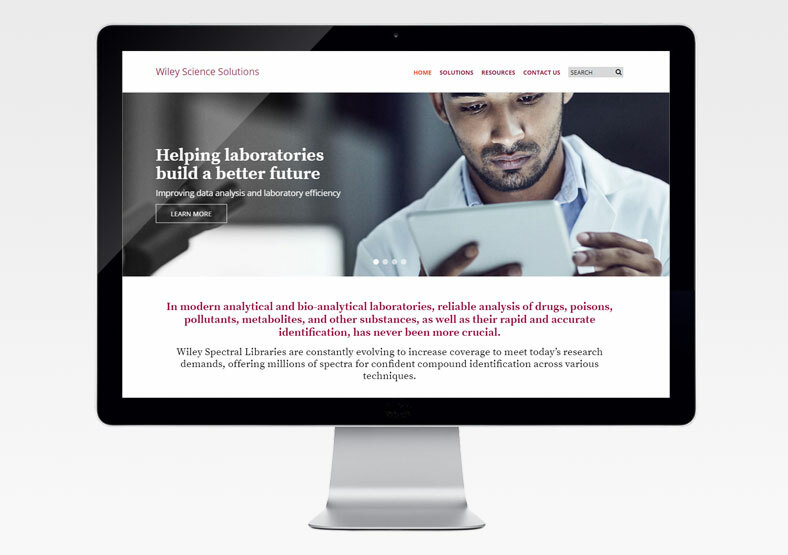 The Wiley Spectral Libraries website required a complete redesign and re-build to fall into line with Wiley’s new corporate branding, and to present the wide range of libraries in a more user-friendly and accessible way. 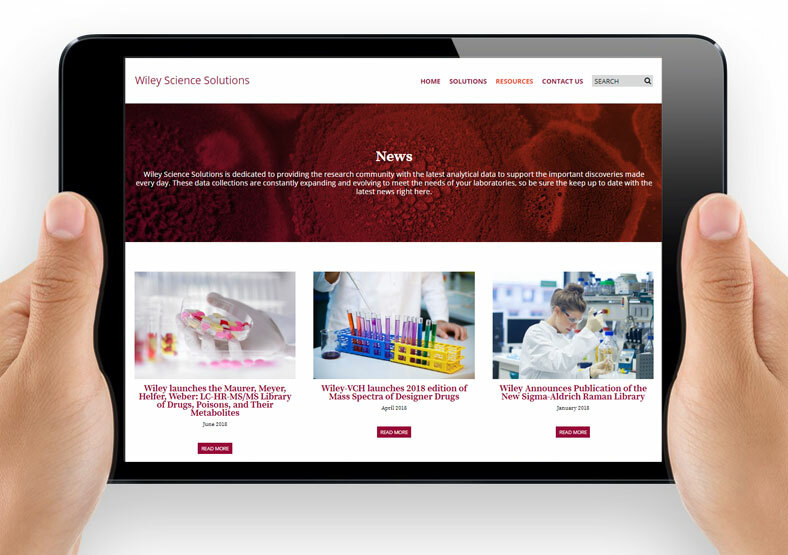 Our brief was to create a website with a CMS (Content Management System), enabling Wiley staff to easily manage the content themselves after launch. We therefore developed the website using the WordPress platform. We got to work creating easy to navigate, stylish, and image-focused pages. Our modified layout focuses on images and clear calls to action. The revised website navigation allows visitors to find relevant information quickly, and allows for a clear “customer journey” resulting in contact via a web form. As part of this form, website visitors can easily click to opt in to receive marketing emails. 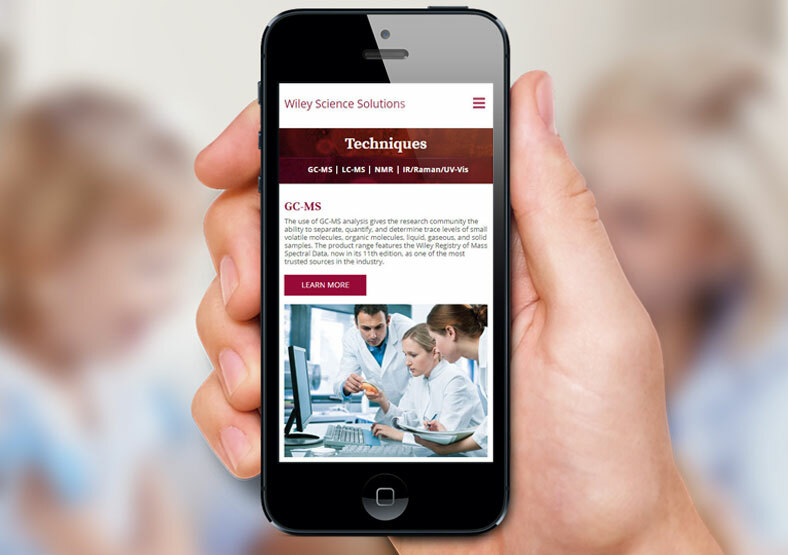 The website was built according to good SEO practises, and includes an easy to use facility for Wiley staff to enter keywords as more content is added, thus improving Google rankings.